Since 1992, the Santa Clara County (Calif.),1 Juvenile Dependency Court has utilized confidential mediation as an integral part of the court process. After hundreds of mediation sessions, we believe it is time for the various participants in the dependency system to reflect on their perspectives on mediation, its strengths and weaknesses, and its future in our court system. Each author, representing a different party or interest in the child welfare system, has a unique perspective on the process. We hope this information will be useful for other jurisdictions utilizing or considering implementing mediation. Beginning with a description of dependency mediation and the mediation process utilized in Santa Clara County, representatives from each participant in the juvenile dependency process—including the mediators, the social worker, the attorney for the family and children’s services agency, the child’s attorney, the parents, the parents’ attorney, a domestic violence advocate, the child advocate (CASA), and the juvenile court judicial officer—follow with their perspectives on mediation. The article concludes with some general thoughts about mediation, its value, its problems, and its future in Santa Clara County. The Santa Clara County Juvenile Dependency Court Mediation Program defines dependency mediation as a confidential process in which specially-trained neutral persons, mediators who have no decision-making authority and make no recommendations to the court, help the family, social worker, attorneys, and others involved in the case discuss and resolve the disputes and problems sent to mediation.The goal is to come up with a plan that all the parties, attorneys, social worker, and CASA agree is safe and best for the children and safe for all involved participants.The confidential nature of medi- ation is critical to its success in that it helps to create the comfortable and open environment necessary for facilitating meaningful discussion of the various issues that arise in child abuse and neglect cases. The mediation process has four basic interdependent stages: orientation, fact-finding and issue development, problem solving, and agreement/disagreement and closure. The Santa Clara Dependency Mediation program operates in a manner consistent with Effective Intervention in Domestic Violence & Child Maltreatment Cases: Guidelines For Policy and Practice—Recommendations from the National Council of Juvenile and Family Court Judges Family Violence Department (“The Greenbook”) recommendations 23 and 48,2 as well as California Rule of Court, Section 24.6, Uniform standards of practice for court-connected child protection/dependency mediation. Both of these require that dependency mediation programs include a specialized protocol for handling domestic violence cases. It is noted here that while domestic violence is an issue resulting in dependency status in only a minority of cases, it has been identified as a significant factor affecting the functioning of one or more family members in approximately 58% of Santa Clara County dependency cases referred to mediation. Santa Clara County dependency mediation protocols lay out specific policy and procedures for subject matters including confidentiality, the manner in which cases are referred to and scheduled for mediation, mandatory versus voluntary participation, the involvement of children, orientation of the participants, the stages of the mediation process, complaints, mediator training, and domestic violence. Santa Clara County dependency system members believe that it is very important that all key case partici- pants, including parents, involved family members, the social worker, child advocate, and attorneys, participate in the mediation process. Each often holds a separate piece of an information puzzle that, when completed, becomes the basis for resolution of the referred dis- putes. The involvement and advocacy of the attorneys also serve to safeguard the rights of their respective clients, be they children, parents, social workers, or other involved parties. This is especially crucial when a given client is otherwise “without a voice” due to being particularly disenfranchised, alienated, overwhelmed, from a different culture, or simply passive or inarticulate. The Santa Clara model utilizes a female/male co-mediation team of highly skilled, culturally competent mediators who are also licensed psychotherapists with specialized training in subject areas beyond mediation and directly related to the types of problems likely to arise in dependency cases. These areas of specialized training include, but are not limited to, child abuse and neglect, substance abuse, domestic violence, the work- ings of the dependency court and child protection systems, the developmental needs of children, family systems, and familiarity with local community resources. This specialized knowledge allows the mediators to bet- ter appreciate and understand the perspectives of the various participants as well as the nature of the issues being discussed. It also, at a very basic level, helps the mediators know what questions to ask in order to get the most relevant information and various underlying interests on the table so that the safety and best interest of the child, as well as the related needs of the family, can be most effectively addressed. Finally, it contributes to the level of credibility, trust, and confidence that all participants have in the mediators themselves and, consequently, to their willingness to commit to the mediation process. The advantages of using a male/female co-mediation team include having mediators of both genders available to clients in every case.This can make the process much more comfortable for clients who have difficulty com- municating with a certain gender, sometimes because of their own histories of childhood abuse and neglect. Additionally, when clients are, for whatever reason, unable or unwilling to advocate for their own interests, the use of co-mediation allows one of the mediators to temporarily serve as the voice for that client while the other runs the process.This helps to balance the power within the process. It is always helpful when one of the mediators in the case speaks the same language as the participants, though mediation can also produce positive results when interpreters are used. The judicial officer functions as the “gatekeeper” to mediation and either chooses to order the case to mediation based on his or her own judgment or the request of a case participant.The referral to mediation may occur at any time during the history of the case from the initial hearing through termination of parental rights.Any issue in dispute may be sent to mediation including, for example: whether dependency is necessary; the language of the petition; the case plan and/or services; placement or return of the child; placement problems or change of placement; visitation; parental non-compliance with court-ordered conditions; intra-familial, parent-social worker, or other personal conflicts that interfere with implementation of the case plan or otherwise cause problems; termination or continuation of services; dismissal versus continuation of dependency status; custody and visitation exit orders; and issues related to termination of parental rights. Protocols are clear that it is never permissible to negotiate about whether or not child abuse, neglect, or domestic violence are acceptable behaviors. Exploring the best ways of responding to these problems, however, is very appropriate subject matter for mediation. 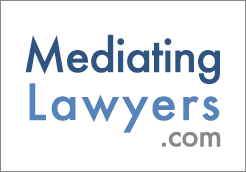 The decision by the court to refer a matter to mediation usually occurs during a court appearance in the presence of the various case participants. The parties, assigned social worker, attorneys, and often the CASA are required to attend mediation once ordered by the court. The group decides who, in addition to the required participants, should also be invited. Those invited may include domestic violence advocates, relatives or family friends, foster or adoptive parents, therapists, placement providers, etc. Once the decision to refer the case to mediation is made by the court, the appointment time is selected and the participants are notified, the court order referral form is completed by the court, and the court provides the family members with a brochure describing the mediation process. The judicial officer reviews the court file and selects documents which are immediately forwarded to the dependency mediators for review in advance of the mediation appointment in order to provide them with background information on the case, including information related to any domestic violence issues. There are various models of Child Protection/ Dependency Mediation functioning around the country. These models are adapted to local court cultures as well as resources and other logistical considerations. The Santa Clara County model works as follows. You can talk about essentially anything as long as the participants are capable of articu- lating their interests and desires. Talking does not equal agreeing, but talking and listening to one another usually produces constructive results even in the absence of an agreement. Mediation usually results in families experiencing a lowered sense of hostility and alienation and a heightened sense of participation and inclusion as well as a greater sense of understanding of the child’s needs, the work- ings of the system, and the points of view of the other participants. People are often less defensive and resistant, and are better able to hear and understand the concerns and ideas of others, only after THEY have had an opportunity to fully express themselves and be heard and understood. Just getting all the key participants together at the same place and time in a structured setting to sit down and, with the help of skilled mediators, systematically talk things through, exchange the most current, accurate, and relevant case information, and clear up mis-information, serves to resolve a lot of problems. The mediators orient the family members to the mediation process prior to the actual commencement of the mediation session. The next stage usually involves meeting with the group of professionals to clarify and explore the issues referred to mediation.All perspectives are heard, information is exchanged, mis-information begins to be corrected, and some problem solving occurs. The attorneys are then usually released, at their own request, while the mediators prepare to work with the family members, the social worker, and other participants, though the attorneys remain in the area and available to their clients as needed. The mediators consult with one another and strategize about which family members to see next. If the case includes elements of domestic violence, the involved parties will be interviewed individually, and a determination is made regarding whether it is safe and appropriate to proceed with the mediation and, if so, the best man- ner in which to proceed. Every victim of domestic vio- lence is permitted to have a support person with her or him throughout the mediation process and to be seen separately and apart from the other party if she or he so chooses.All parties are permitted to have their attorneys in attendance whenever they wish. Domestic violence issues aside, the mediators decide whom to meet with next based on the circum- stances of the individual case. It may be a large family group, the parents together or separately, the parents and the social worker, the parents and placement provider, or other combinations. About 20% of the time the child is part of the mediation, but the issue of whether or not and how children are included is weighed carefully, con- sistent with the program protocol. Great care is taken to avoid inadvertently re-victimizing children or making them feel responsible for the outcome of mediation. Children only participate with their attorney’s agree- ment. Often they are seen individually and their feelings and wishes are conveyed back to the larger group. Mediators always start by listening to the participants until they feel understood. Individuals are permit- ted to vent as needed and then refocus on the dispute at hand. Mediators attempt to identify and validate the interests of the various participants, and then try to keep them focused on the needs and best interests of the chil- dren as problem solving continues.The mediators confer with one another as needed to develop strategies designed to address barriers that arise on the road to conflict resolution. During the final stage of mediation, the mediators usually meet with the whole group to do final problem solving, finalize areas of agreement and/or disagreement, answer questions, and clarify follow-up responsibilities and expectations.The Santa Clara model has the attorney representing the child protection agency write down the agreement. It is reviewed with all parties and attor- neys. All of the case participants then report directly to court where the judicial officer is informed of whether or not an agreement was reached and, if so, the details of the agreement. The judicial officer then ensures that everyone understands the nature of any agreement and decides whether or not to accept it. If there is no agreement on some or all of the issues, the court then determines the next course of action. There are approximately 1,000 new dependency petitions filed in Santa Clara Juvenile Dependency Court each year. A separate petition is filed for each child. During 2000, 223 cases were seen in mediation for a total of 240 sessions. Fifty-two percent of the cases were referred at the request of the attorney for one or both of the parents, 17% at the request of the child’s attorney, 5% at the request of the social worker or agency attorney, 21% on the court’s own motion, and 5% at the request of all the parties and attorneys. Forty-five percent of the cases were referred at the jurisdictional stage for disputes about both jurisdiction and disposition, 15% at 6-month review, 7% at 12-month review, 7% at a post-permanency review hearing, 16% at dismissal for exit orders, 4% for interim change of placements, 4% for other interim problems, and 2% at termination of parental rights. Sessions averaged three hours in length. Children participated in 19% of those cases. Persons beyond the parties, children, social worker, attorneys, and CASAs par- ticipated in 57% of the cases. Domestic violence was an element in 58% of the cases, though usually not included in the dependency petition. Seventy-five percent of the cases resulted in full agreements, 17% in partial agreements, and 8% in no sub- stantial areas of agreement. Recently an attorney representing children peered in the dependency mediation room window to see if we were finished interviewing the family members. She remarked later,“You were in there a very long time, and you were really getting into it. Everybody looked so focused.” She was right. We had a long and intense session with the family members, including the parents.The encounter led to an agreement that the family members would fully engage in the case plan, and that the child would be moved to a safe placement with an aunt whom the social worker had already approved. The attorney’s comments highlighted two key elements that characterize dependency court mediation in Santa Clara County. • spending substantial time with participants, especially family members. Dependency mediation is a cooperative effort to explore disputed issues existing in child abuse and neglect cases in a non-adversarial setting. Through the use of empathic listening techniques and accurate reflection of the cognitive and emotional content of participants’ statements, a respectful and safe environment is created. This enables an authentic response on the part of family members, sometimes leading to life-changing decisions and commitments, with the ultimate goal of preserving the safety, best interests, and permanency needs of children.Though there are many methods, skills, and strategies in conducting dependency mediation, in this article we will focus on two critical elements: empathic engagement and spending time with the participants. We will also discuss the potential impact of the work on the mediators themselves, and make some suggestions for reducing negative consequences and increasing mediator effectiveness. The mother was surprised that the mediator was interested. The mediator’s question led to a genuine inter-personal exchange for another 20 minutes, involving continued use of empathic listening skills and reflection of the emotional and cognitive content of the parents’ experiences. The validation of the parents’ experiences led them to the realization that they were being heard. Their human dignity was being respected. This helped them to move beyond their anger and resistance to deeper emotions of grief and remorse facilitated by further validating responses from the mediators.The par- ents were then ready to abandon their defenses and to begin to face the issues of drug abuse and child neglect which had brought them to court. The mediator’s respectful listening created an obligation on the parents’ part to listen to the other participants—the children, therapists, doctors, witnesses, other family members, the children’s attorneys, and the social worker—and respect their viewpoints. The mediators were then able to begin an exploration of the case from all participants’ perspectives. At that point, the parents and family members were ready to confront the damage that was alleged to have been done to the children, and to come to realistic decisions about moving the case forward.The maximum impact of constructive empathic listening was achieved. The mediator’s ability to empathize congruently and accurately with family members in dependency cases lies in his awareness of his own feelings.These often will include anger, sadness, and even despair at the images of abuse he or she is exposed to in these frank discussions of human suffering. The mediator’s affect may reflect what family members are experiencing at some level. His consciousness can be a source of information from which to further clarify the parents’ experience and comprehend it. By conveying that understanding the mediator thus enhances the process. Being present to the parents in a compassionate way does not mean condoning what they have done or not done. Validating the person does not equate with agreeing with his or her behavior. The mediator’s validating and non-judgmental approach creates an environment of trust. This constitutes an invitation to the parents to allow the mediator to guide them down a path where they will confront difficult issues and events. They will be called upon to face barriers or to find ways to get around them in order to reach resolution. They will struggle with major life-changing decisions and commitments in order to regain custody of their children. Sometimes they will be facing the most terrifying obstacle of all, confronting their own inadequacies as parents and relinquishing the care and control of their children. This last path can only be taken when the parents’ dignity and human worth are preserved. In a case some years ago involving an Asian-American family, the father, who had molested his daughter, was defended furiously by the child’s uncle, aunt, and cousins, as being incapable of such an act. This, of course, meant they had to deny the child’s many statements, thus re-victimizing her. In the course of the mediated family discussion, the father, supported by his girlfriend, freely chose to admit to his family that he had done this terrible thing to his daughter.There was shock, grief, and anger expressed at the father, but a pathway towards resolution was opened up by his admission, and the path included a way to healing for the victim and to the support for her by family members. A young mother (21 years old) from Mexico cannot have her children back (a 6-month-old and a 2-year-old) unless she leaves her boyfriend, who has been very violent to her and the children and who remains a danger to all three. But she is dependent upon him. Where would she live? She can’t afford to maintain a home. The prospect of going it alone for the first time in her life is terrifying to her. This was a very frightened young woman. It was not easy for some of the participants to identify with the dif- ficulties of a victimized, non-English-speaking, non-literate single mother being told to,“Go it alone or lose your children.” Her only defense was in denial. But, with the intense and empathic engagement of a Spanish-speaking mediator, she was able to move beyond a state of denial and paralysis to explore other alternatives. She was then able to participate in identifying resources within her extended family and, with the help of the other mediation participants, move around the obstacles in her path. (To the mother):“Do you think the social worker has a justifiable concern since two out of the last three drug tests were dirty?. . . Here’s the record of the results the agency returned. Take a look. . . . She thinks you still have some work to do before moving to unsupervised visits. . . . The mediator can function as an agent of reality in having all key issues placed on the table for open discussion. The mediator brings the participants into a dialogue within a context of the critical events of the children’s, parents’, and family members’ lives. This dialogue will only happen if time has been spent creating an emotionally safe and trusting environment. This process is the key to constructive resolution, made possible by empathic listening.